Hold it! Before this whole Google encryption of keywords fiasco drives everyone to run around making lots of noise, lets figure out whats going on and how we can work around the problem. 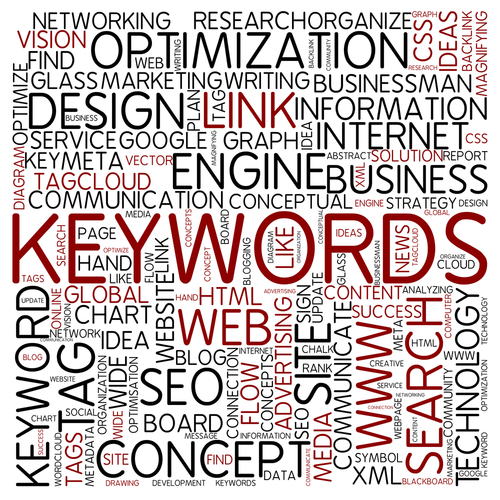 Marketers rely on keyword search terms to establish organic traffic to websites. The most important reasons for analysing keywords are that it allows marketers to improve pagerank, proves SEO efforts are providing ROI, and indicates how users understand a brand and the content of a website. It also allows shows Marketers and Merchandisers what people are expecting to find when they enter a website. The easiest way to get at this information in the pre-2011 days was through Google Analytics Traffic Sources category. While today Google no longer passes organic keywords to the site owner, the majority of them will be lumped into a 'Not Provided' category. This means that they cant tell us very much about what people are searching and how that affects metrics on a given website. Now, why did Google decide to do this? Well, theres the official answer that they are protecting users from NSA spying efforts and regaining lost faith from users concerned with the privacy debate. In reality it may do little to protect users privacy and may be more to do with Google protecting its advertising dollars. The reason that Marketers need this information is so that they can better organise the vast space of the internet into more relevant and contextual searches, i.e. people will get exactly what they want to see and more of it. Encrypting keyword searches wont cut Marketers off entirely from this information (more on that below), it will simply make it more of a pain to extract metrics on keywords. However, where theres a will, theres most definitely a way! There have been a number of thought leaders and marketers who have provided great short term solutions to the (not provided) dilemma, like Dan Barkers Not Provided Kit, and Avinash Kaushiks longer blog post. The latter is an older post however, and a new video from Rand Fishkin over at the Moz blog has proven to be quite useful. Also, Hubspot have been great at spreading the word and providing some firefighting efforts as well. In addition to these great resources, below you will find a brief description of what we at Ometria believes are the best practices going forward for retrieving keyword data. Its easy to keep preaching about content creation - everyone is doing it. But you should not only create good content frequently, you should also keep all pages on your website wrapped tightly around a central group of keywords. These will be your indicators for search engines to recognise your content and drive organic searches towards specific pages. At Ometria, we keep a running list of the keywords we want to rank for, and mold our content around those keywords and common variations. This is similar to the solution provided by Econsultancy a couple years ago. Its still relevant however and this change in viewpoint is now vital to Marketers and SEO Managers. You can extract page metrics in GA by looking at two charts and collating them together. First, go into Traffic Sources, Search and Organic. That should give your a list of pages that are getting traffic from organic search, and the first column next to each entry will give you your Visits metric. Hold onto this chart or print it out as an Excel sheet. Then go into Content, Site Content and All Pages. Then take a look below the main graph and you will see a row showing Primary and Secondary dimensions. Select Page Title as your Primary dimension, and Source as your Secondary dimension. If you export this into Excel, you can select all the data excluding total numbers, and sort by landing page range to get a full view of what sources are leading to each page. Taken together this will give you a sense of what pages received the most organic traffic, and you can then act upon this information to raise the rank of each keyword optimised page. There are some insights that GA will not be able to provide alone, and for that, you will need to increase your toolbox to include some more sophisticated tools. That doesnt necessarily mean spending money either. Googles Webmaster Tools can give you some more information to skirt around encrypted keywords, like a limited amount of keywords that arent listed in GA alone, as well as search rankings for keywords that are on your list. This particular insight will help you to gauge whether your pages are doing well, improving or need some extra help. However it still doesn't allow you to cross reference keyword data with visit interaction data, so you would not be able to see which keywords generated sales for example. Another tool that will help you extend your keyword knowledge, and allow you to improve your head term list, is a personal favourite of mine - Ubersuggest. This keyword tool allows you to search for related keyword terms and their stats on search engines. This is a great way to check your keywords against other long-tail terms. This post is meant to be a helpful guide to Google's newest keyword encryption practice, but it is by no means extensive. Only time will tell how Marketers and SEO experts will deal with this situation, or perhaps solve it altogether. For now however, we must all work a bit harder to get those data-driven insights that are the key to digital success.